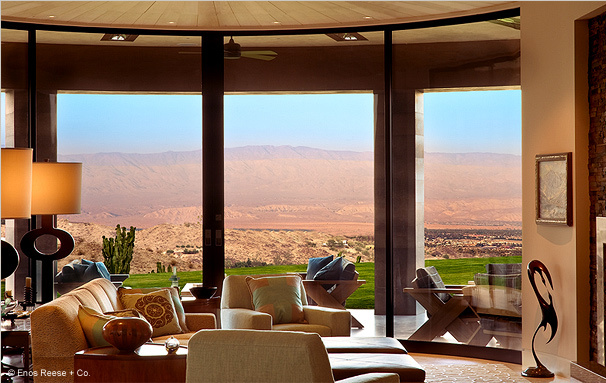 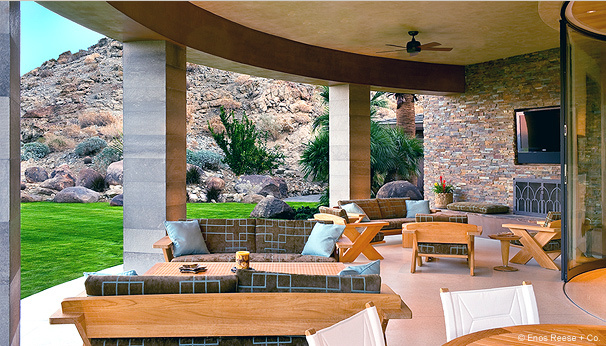 Stuart W Residence - Portfolio - Enos | Reese + CO.
To take advantage of the spectacular mountain desert landscape, Enos pierced the front of this home with oversized curved sliding glass openings. 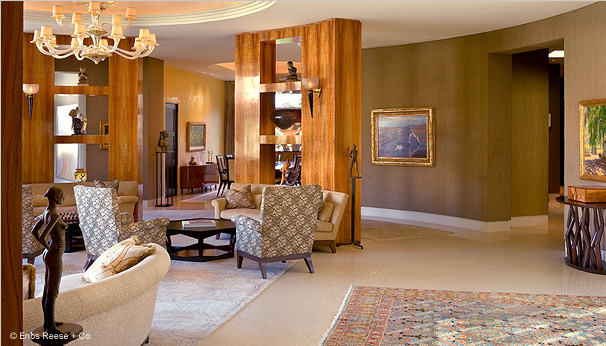 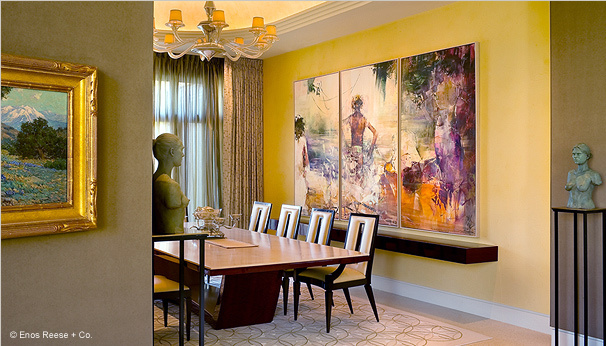 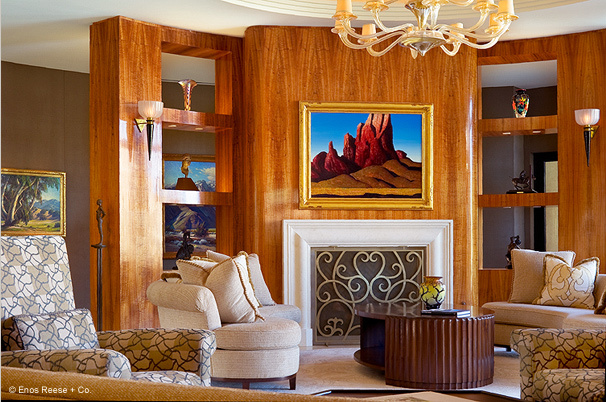 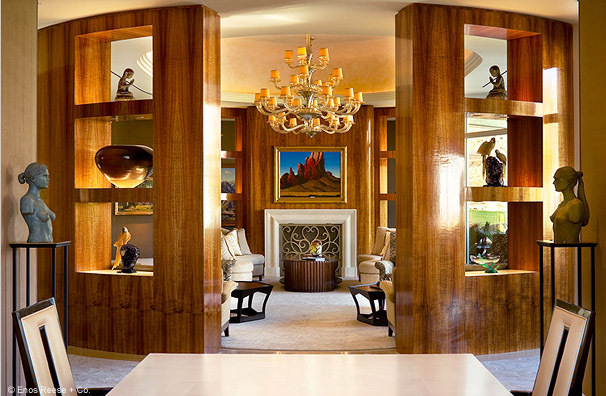 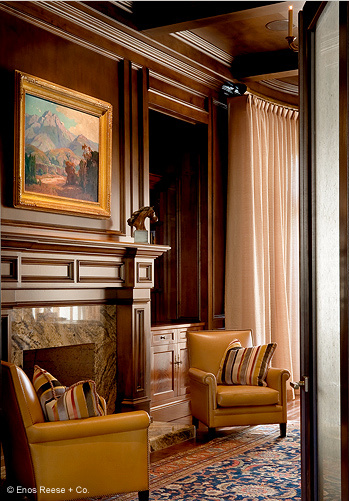 Then they created exotic Koa wood curved walls in the Living Room to display a contemporary bronze sculpture collection. 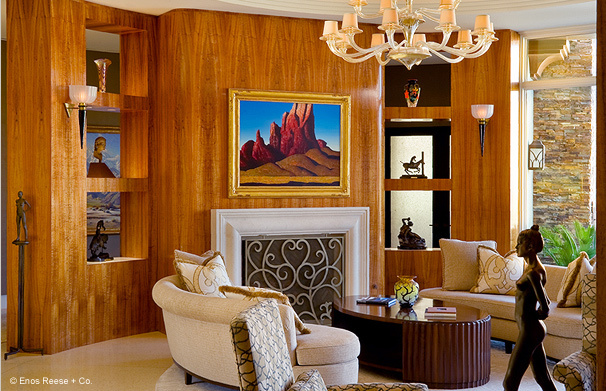 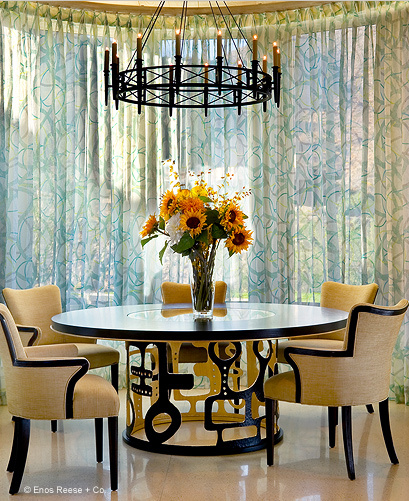 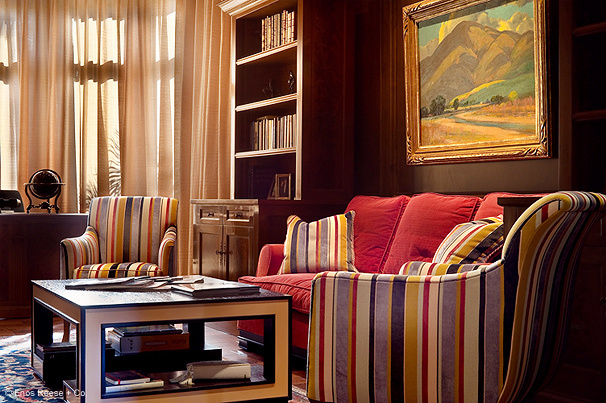 Custom designed furniture nestles into these curved walls embracing the space. 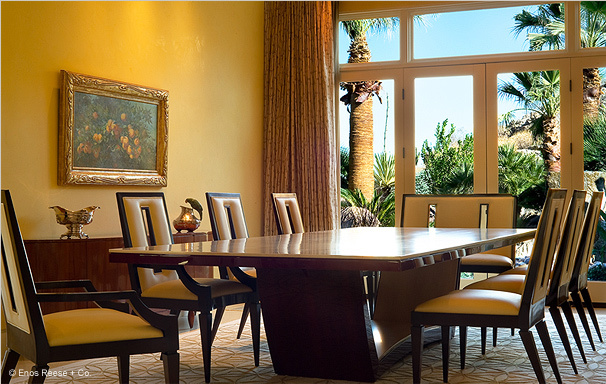 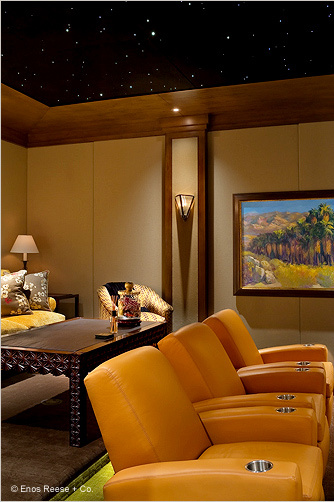 Eight thousand square feet of sand colored terrazzo floors visually extend the interior space out into the desert while coved ceilings with indirect lighting flatter the client’s extensive collection of Western paintings.